As general and family dentists, our doctors give patients exceptional cosmetic results, but we also focus on protecting long-term oral health. Routine checkups and proper home hygiene are the cornerstones for healthy smiles. We promote preventive and general dental care to save our patients additional expense, time, and stress. Even with optimal dental care, you may develop problems at some point. Your checkups help us find and treat dental issues, such as gum disease or tooth decay, in the earliest stages. During your regular exam, we will perform a tooth-by-tooth inspection, bite analysis, oral cancer screening, and periodontal assessment. Digital X-rays will give us a clear picture of your whole mouth. Your general and family dentist will take time to listen to your concerns, review her findings, and make recommendations that will preserve your oral health and smile. 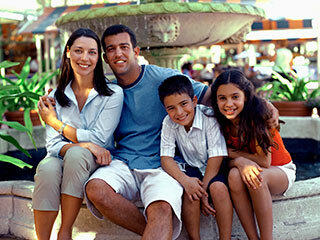 Quality dental care for your whole family. Call McComb Family Dental to make an appointment with one of our dentists. We serve McComb, Findlay, Leipsic, North Baltimore, Ottawa, Fostoria and the surrounding areas with state-of-the-art dentistry personalized for your needs. Are crooked teeth hurting your self-confidence? Invisalign can create gorgeous results seamlessly. This revolutionary tooth replacement method restores stability, strength, and beauty to your smile.